Mercy Home of Children Summer Update! School started on the 22 of May for the second semester of this year. 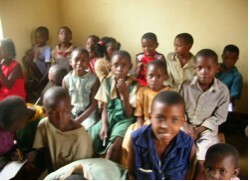 We haven’t yet been able to send the kids to school due to lack of scholastic materials. Most of the kids are home-schooled and in June we hosted groups of people from different parts of the United States who came to volunteer at the orphanage. Some of the volunteers who visited us this summer so far include a female student from Vanderbilt University, and a missionary couple accompanied by a group of students from Missouri State University. The students came to help teach the children English, mathematics, science, music dance and drama, gymnastics, brick-making, Bible study, counseling and guidance and many other activities. These kids are talented beyond your imagination. This month, we have a 15-year-old girl, *Doreen Nyuma*, who is doing salon/hair care work at the orphanage. She is styling all kinds of hair. 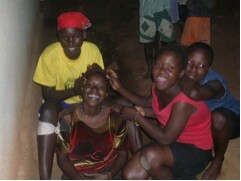 People come to her from nearby towns with their little ones to have their hair done. She is being paid for the work she does by her customers. Mercy Children’s Home emphasizes vocational skills because it helps the kids stand on their own in future. Doreen wants to start her own salon so she can earn money while attending school. This month we have been at the “Africa Prayer Mountain For All Nations.” On this mountain, people from different parts of the world some and seek God. All the kids ages 14+ stayed at the mountain for 7 days, fasting and praying for God to make a way for Mercy Home in all our endeavors. We had trouble this month because our goats and the cow went out to the neighbors and ate their garden. So we had to pay for the food they ate. Since we want to discipline the kids not to let them out again we had to take them to the garden that was destroyed and make them dig the garden again. This wasn’t fun since it was a big garden, so we spent the whole day digging and digging. Mercy Home of Children is founded on a Christian foundation, and we put God first in all we do for He is so good to us all the time. THANK YOU FOR GENEROUS GIVING TOWARDS THIS MINISTRY. 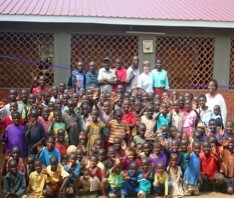 YOU AND I CAN MAKE A DIFFRENCE IN THE LIVES OF THESE CHILDREN.